What is clinical waste and waste removal? Clinical waste consists of medical waste that could pose a threat to public health unless properly disposed of. It is a category of hazardous waste, and has to be collected under tightly controlled conditions and disposed of by incineration. It cannot be put with normal rubbish. The process is legally enforced by strict government regulations. Clinical waste is defined in the Controlled Waste Regulations 1992. Any other waste arising from medical, nursing, dental, veterinary, pharmaceutical or similar practice, investigation, treatment, care, teaching or research, or the collection of blood for transfusion, being waste which may cause infection to any person coming into contact with it. 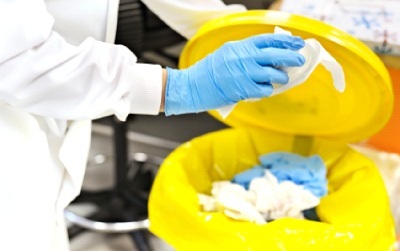 How should clinical waste be removed? Clinical waste should be placed in secure clinical waste bins, Domestic Waste Bins, Sanitary Bins, Nappy Bins and Recycling Bins. There are various companies that manufacture products to suit this industry and take the contents of the bin away to be incinerated. How can we help you remove your clinical waste? Masterflex manufacture a range of durable hard wearing hoses that can can be used in the incineration process. If you are in the incineration industry and have requirements for flexible hose and ductings, we will be happy to hear from you. This entry was posted in Charity and Other, Chemical - food & pharmaceutical, Clinical waste, High Temperature Hose, Plastics, Uncategorized and tagged abrasion resistant hose, Clinical waste, Dust extraction hose, flexi hose, Flexible ducting, Flexible hose, flexible hoses, High temperature hose, Masterflex technical hose ltd, Pharmaceutical hose, Polyurethane ducting, PU DUCTING, PU ductings, PU hose, PU hoses, PUR hose, pur hoses, PVC ducting, PVC hose, Silicone Ducting, Silicone Hose, suction and transport hose, templine Heated Hoses, Waste. Bookmark the permalink. ← Music icon, David Bowie!